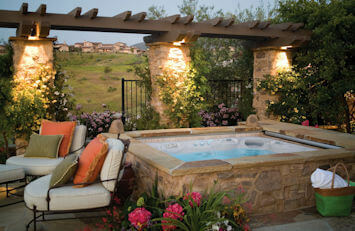 Take the first step toward finding your new spa by browsing our hot tub collections. Meticulously designed spas are easy to use and energy efficient for an unparalleled experience. The ultimate spa experience with multiple features you can enjoy day-in and day-out for years to come. With soothing massage, vibrant lighting, and exclusive features that will make owning a spa easy. Simply add water, plug in your hot tub and enjoy these budget-friendly spas. 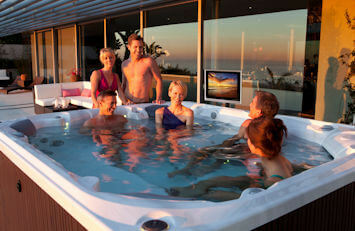 Ask yourself if you plan to use your new spa for family fun, relaxation, sore muscle relief or entertaining. Consider what size hot tub you’ll need. How many people will use it at one time? Will your family want to soak together, or will it be better used with 1-2 people? The most popular size seats four adults. If you’re still unsure, we can help you measure and select a spa that will work perfectly for your lifestyle. Schedule a test soak so you can try your spa before you buy it. You want to sit down and see how the seats feel. Do you have enough leg room? Will the seating work for adults and children alike? Again, schedule a test soak to feel the power of the jets.You’ll want to decide if you like the jet types and the placement. If lower back relief is one of your requirements, you want to make sure the placement is correct. If leg pain relief, check these jets as well. Do you like how the jets feel? Can they be adjusted? Many people like to adjust jet pressure. Look for spas with high energy efficiency. It will cost less to operate a spa that is properly insulated and well built. Ask your dealer about operating costs. Listen to the sound the hot tub makes. Is it acceptable to you? Our Hot Spring spas have no audible noises when the water is circulating, heating and filtering. Look for crystal clean water that doesn’t have an overpowering smell of chlorine. See if the spa has an easy to use on/off control panel. Pay attention to the spa’s filtration system. You want a system that keeps water clean 24/7. It’s also important to have a spa that is safe – look for a locking cover and control panel to keep pets and children safe. Additionally, think about safety rails and steps for added safety. 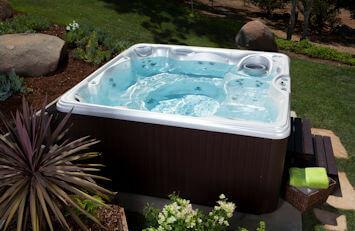 You want to look at a hot tub that’s made with quality construction and materials. Your new spa is a big investment, so you want to have a good idea how long it will last. 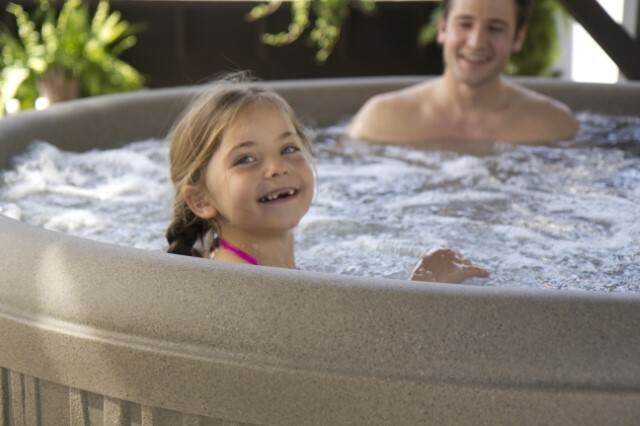 Look for durable materials from a well-known and respected hot tub manufacturer. Lastly, the warranty is important. You want to make sure your new spa is backed by a strong manufacturer’s warranty. Why Choose a Hot Spring Spa? Why Choose a Freeflow Spa? 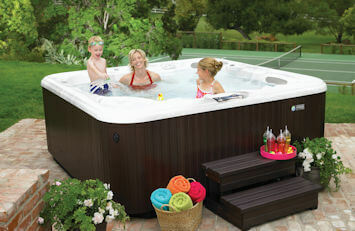 Freeflow Spas are portable, plug-n-play hot tubs. 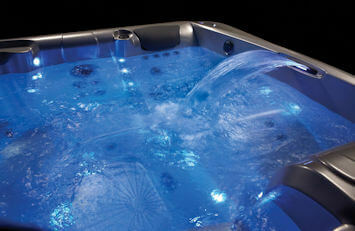 They use less material and labor than traditional acrylic hot tubs making them very affordable. 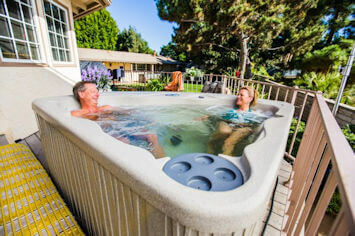 Looking for hot tub tips? We cover health benefits, water care issues and more!